Everybody knows the 1941 Humphrey Bogart/John Huston classic THE MALTESE FALCON, but only true film fanatics watch the original 1931 version. Since I fall squarely into that category, I recently viewed the first adaptation of Dashiell Hammet’s seminal private eye yarn. 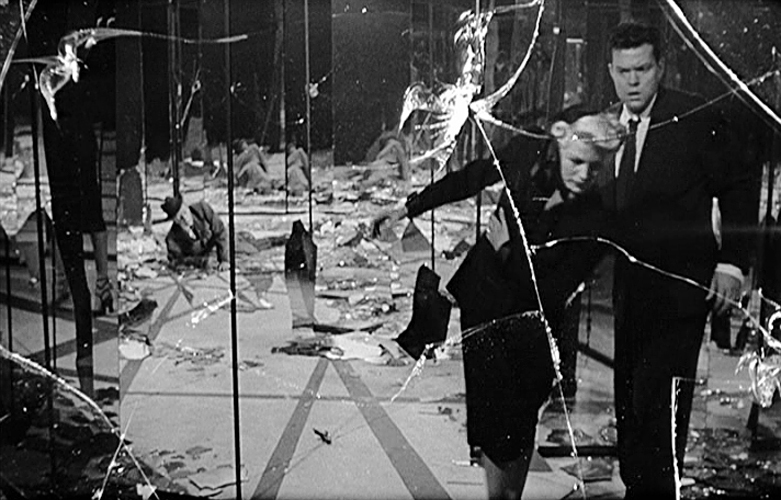 The film, like it’s more famous remake, follows the novel’s plot closely, with the added spice that Pre-Code movies bring to the table. The odds are six-two-and-even if you’re reading this post, you don’t need a plot recap. What I intend to do is go over some of the differences between the two versions. Let’s start with Sam Spade himself, the prototype hard-boiled detective. 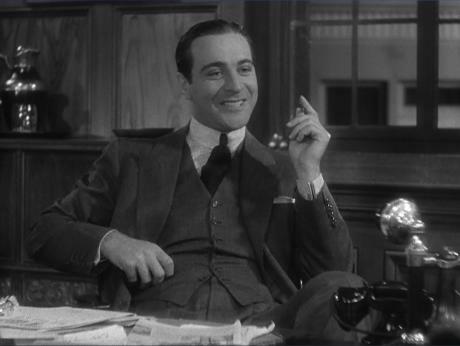 Suave, slick-haired Ricardo Cortez interprets the role as a grinning horndog who’s never met a skirt he didn’t like. We meet Spade in the opening shot, clinching a dame in silhouette at the door to his office. Then the door opens and the camera pans down to the girl’s gorgeous gam, hitching up her stocking, so there’s no doubt that more than just business was being conducted behind that closed door. This sets the tone for Cortez’s character, an amoral man completely out for himself. 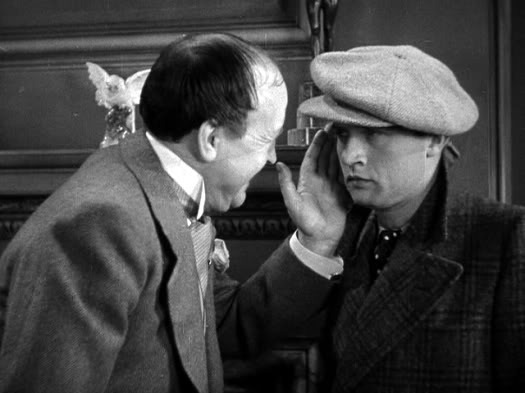 We later discover he’s been banging his partner Miles Archer’s wife Iva (and as she’s played by the lovely Thelma Todd , who could blame him?!?). He’s also got a thing going on with secretary Effie ( Una Merkel , another Pre-Code cutie). Cortez made a career playing shady types, and though his Spade differs from the more cynical Bogart , he does well in the role of less than honorable gumshoe. Bebe Daniels plays opposite Cortez as the lying, duplicitous Ruth Wanderly, enacted in the Huston film by Mary Astor. Miss Daniels, a star in the silent era, was more closely associated with early musicals (DIXIANA, 42ND STREET), and is no match for Astor in the dramatic department. However, she does get to strut her Pre-Code stuff more freely than Astor did ten years later. There’s a scene where Ruth and Sam are passionately kissing while a record comes to an end; the scene changes to Daniels asleep in his bed the next morning. Sam answers the door to find Iva, who spies Ruth peeking through the bedroom door… in her kimono! Later, when a thousand dollar bill goes missing from an envelope, Sam orders Ruth to “take off your clothes” so he can search her… and she does! Though she’s no Mary Astor (let’s face it, few actresses were), Bebe Daniels does fine in the pivotal role of Ruth Wanderly. Diggs & Frye… more than just friends? The villainous trio of Casper Gutman, “Dr.” Joel Cairo, and the gunsel Wilmer Cook are portrayed with no ambiguity about their homosexuality. Right off the bat, Effie tells Sam a “gorgeous new customer” has arrived, and in walks the effeminate Dr. Cairo (Danish actor Otto Matieson). Gutman (Irishman Dudley Diggs) sports feminine curls and is more than fond of his hired goon Wilmer, played by none other than Dwight Frye. It was a very good year for Frye, as he appeared in both FRANKENSTEIN and DRACULA for Universal in 1931. There’s also some homophobic slurs tossed by Spade at the homicide dicks Dundy and Polhaus (Robert Elliott, J. Farrell McDonald), as he teases Dundy with the sobriquets “sweetheart” and “darling”, much to their chagrin. When Warner Brothers wanted to re-release the ’31 version in 1936, the then-in-place Hayes Production Code had a fit, claiming it was too “lewd” and unacceptable to be put on the Silver Screen again. Warners then commissioned a remake, retitled SATAN MET A LADY, changing some things around and starring Warren William and Bette Davis in the Cortez and Daniels roles. The new film was a bomb (Davis hated it), and Hammett’s story sat untouched until John Huston got ahold of it in 1941, and the rest is film history. The Huston/Bogart MALTESE FALCON remains the definitive version, and is still my favorite, but this Roy Del Ruth 1931 Pre-Code take has a lot to offer. 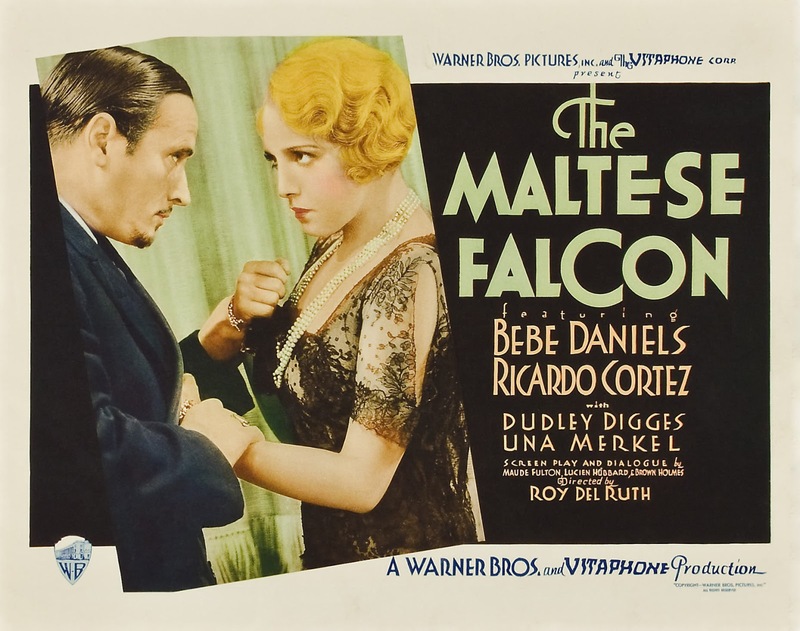 While not nearly as atmospheric or influential as the later film, this MALTESE FALCON is at least the stuff that Pre-Code dreams are made of! Whoa! This sounds VERY Pre-Code, and a lot of fun. I’ve only ever seen the Bogart-Astor version, but I’m going to make an effort to find this one. Thanks! It’s worth searching out, I think you’ll love it! I don’t think I ever knew there was one before the Bogie version. Too lewd? My, we have come a long way. Great work.